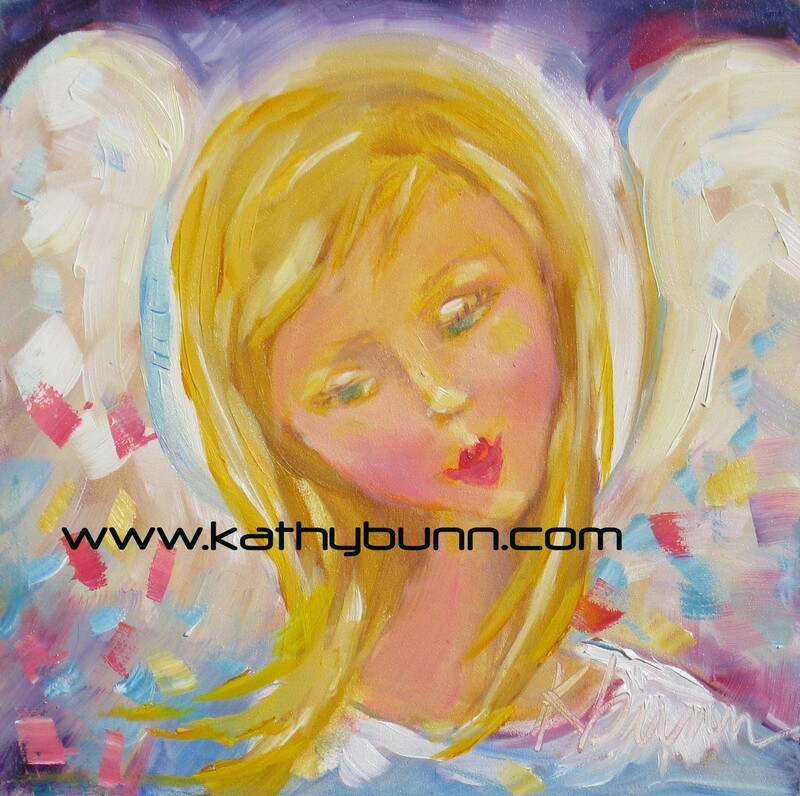 Inspired by sweet little girls and kisses from angels on earth, “Angel Kiss” is painted in oil on Ampersand panel. She has a more stylized look about her and will also be included in a pack of 10 assorted Christmas cards. Save the date………….Sunday, November 11, 2012 from 2:00-6:00pm at Smellie Bloomers’ Christmas Open House -my angels will be available.